Germany is the 7th-largest country in Europe, covering an area of 137,847 square miles (⅓ of which is covered in forests and woodlands), which means the absolute best way to explore this stunning country is by 4 wheels (and 2 feet)! And since 65% of the Autobahn (highway) has no speed limit, it’s actually really exciting to drive in Germany! Southern Germany offers dramatic scenery, ancient castles, friendly people, and quaint villages. Our proposed road trip itinerary will take you to all of the highlights in this beautiful region and should take you 2-3 weeks to complete. “Wild camping” is not legal, but “overnight parking” is. Meaning that as long as you’re not pulling out your awning, camp chairs, and BBQ, you can pretty much park anywhere for 24 hours without anyone bothering you. 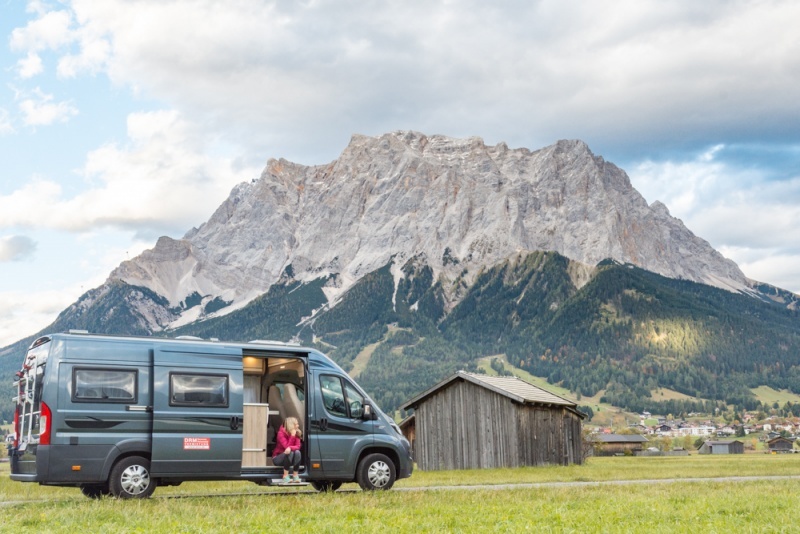 And since road tripping around Germany is a popular pastime, most cities and towns you will encounter have very clear signs to mark where and when motorhomes can park (the largest parking lots meant for motorhomes are generally a mile or so outside of town). Germany is a part of the Schengen Zone – make sure you don’t overstay your welcome! Gas is expensive! Be sure you budget accordingly. The compound word, Donau­dampf­schiff­fahrts­elektrizitäten­haupt­betriebs­werk­bau­unter­beamten­gesellschaft, is the longest word published in the German language with 79 letters. There are over 1,500 different beers in Germany (and you can consume them in public) and over 1,000 kinds of sausage. 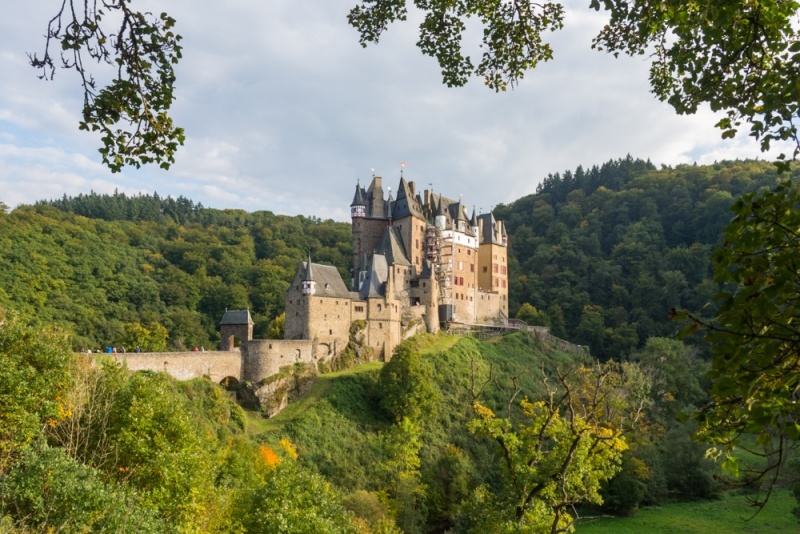 There are over 2,100 castles (you’ll be exploring more than a few of them during your trip)! Beer is cheaper than water (literally) and you’ll pretty much always have to pay to use the toilet (so consider renting a motorhome that is equipped with one inside). If you happen to visit Nuremberg during the month of September, be sure to check out Altstadtfest which is a lively market full of beer gardens and restaurants. Also, the Christmas Market (Nurnberger Christkindlesmarkt) is definitely worth visiting, a holiday market that takes place during the month of December. Between Fat Tuesday and Ash Wednesday the city squares and pubs around Cologne will be crowded with people dressed in colorful costumes, drinking and dancing for one of the largest street festivals in Europe – the Cologne Carnival! About a million people gather in Cologne on the Thursday before Ash Wednesday. If you visit Heidelberg at the end of September, be sure to check out the Old Town Autumn Festival. The streets become filled with locals and tourists alike, drinking the local wine, perusing the flea market, and swaying along with the live music at a variety of stages sprinkled throughout the town. Don’t miss the side streets where locals have set up individual booths and you can get the best deals on antiques! If you happen to visit Germany during the month of September you’ll find yourself immersed in a sea of lederhosen and dirndls for Oktoberfest! While the entire Bavarian state celebrates in many small festivals throughout the month, the most popular Oktoberfest festival takes place daily in Bavariapark in Munich. Contrary to popular belief, Oktoberfest isn’t just about drinking beer and dancing on tables. It’s a giant festival filled with carnival rides, huge beer tents, restaurants, outdoor beer gardens, and thousands of locals and tourists dressed in typical Bavarian attire. Considering the fact that Munich is the capital and the most populated city in the German state of Bavaria, with an estimated population of approximately 1.5 million people, it’s pretty amazing that the city center can remain so quaint and pedestrian-friendly. With churches displaying amazingly intricate architecture and beer gardens rich in history on practically every corner, you’ll never run out of things to see or drink in this darling city. Perhaps you are a lover of architecture! 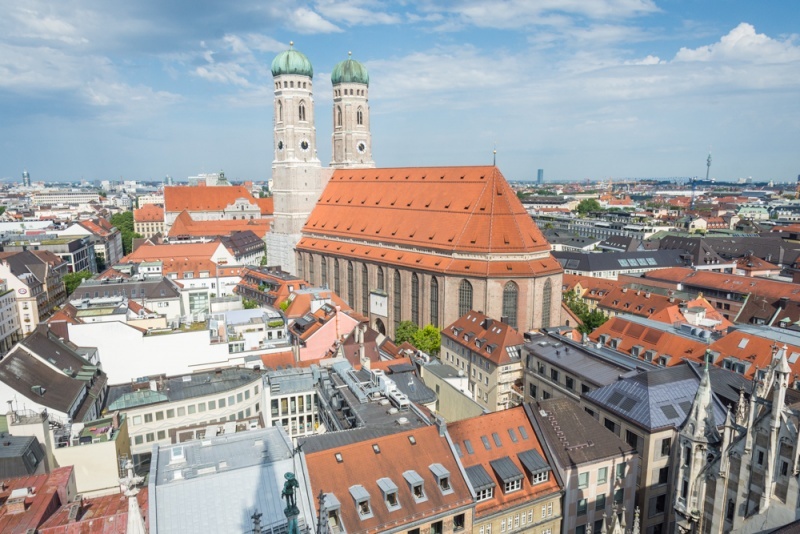 If you want to see some of the finest in the region, start with a morning stroll around the Marienplatz, the central square in the middle of Munich’s city center. Be sure to stop at the Rathaus-Glockenspiel right before 11:00am to witness this large mechanical clock in the middle of Marienplatz containing 43 bells and 32 life-sized figures come to life daily in the 260 foot tower. You’ll want to peek your head into all of the churches in the square but be sure not to miss our favorite, Asam Church, which is quite small but will leave you speechless. From there head over to the Munich Residenz for a tour of the exquisite museum that served as the seat of government and residence of the Bavarian dukes, electors and kings from 1508 to 1918. It will take you several hours to see all that this gorgeous mansion has to offer! Finally, end your day with a sunset stroll through the Englischer Garten. This giant park is located centrally in the city and is a hot spot for (occasionally naked) locals when the sun comes out. 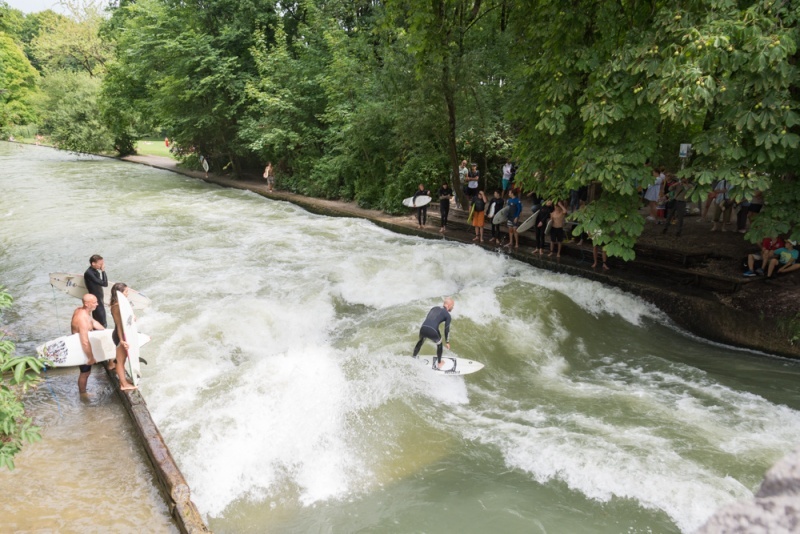 Not only is there a bustling beer garden in the center of the park, but also surfers who are taking a shot at the narrow wave caused by a standing wall in the man-made river. You’ll need to rest your weary feet after all that walking so take a pit stop at Hofbraeuhaus which is arguably the most famous beer hall in all of Bavaria! It was originally built in 1589 but not opened to the general public until 1828. All of the rooms except the historic beer hall were destroyed in WWII bombings but it was reopened in 1958 after post-war restoration work. If you’re looking for something refreshing, try the radler! When you’re ready for another pint of Germany’s finest ale, stop at the Biergarten am Chinesischen Turm in the center of the Englischer Garten! One could spend weeks exploring all that Munich has to offer but you’re on the move! Time to drive about 45 minutes to camp on the beautiful Fohn-See Lake. 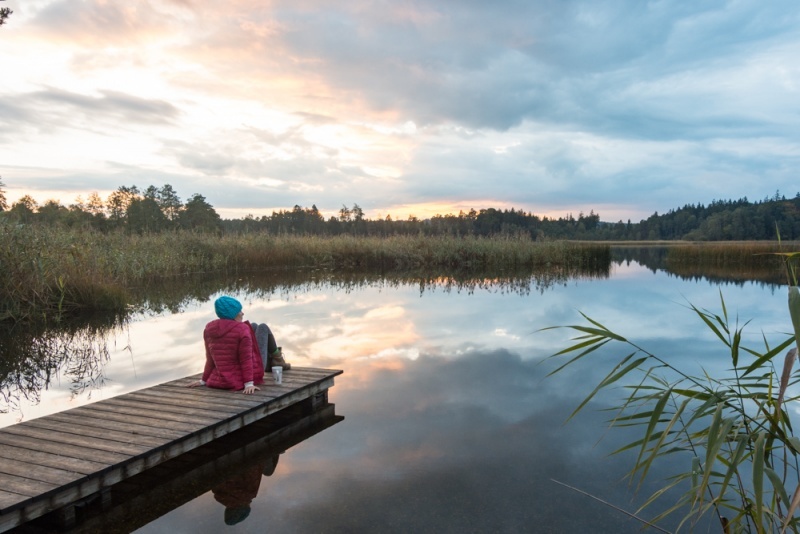 For a campsite right on the lake, check out Zweiter Campingplatz Fohnsee where you can sit on the dock and to watch an amazing sunset and then wake up early in the morning for a relaxing stroll around the lake. You’ll be visiting two homes of the eccentric King Ludwig II who was crowned king of Bavaria in 1864 during this leg of your journey. The first is the gorgeous Linderhof Palace which was the king’s summer home and was modeled after the Palace of Versailles. The palace exterior is spectacular – as are the gardens – but a tour of the inside of the palace is truly fascinating and worth the small fee. Since he didn’t like to be bothered by his servants during his meals, the dining room table (that was only large enough for one) could be lowered to the floor below so that the servants could set the table and then hoist it back up to the king awaiting his dinner without being seen! As you walk through the Olympic Ski Stadium (Olympia Skistadion Ausstellung) you’ll notice a few things; first of all how impressive and intimidating the steep, towering ski jump is and secondly how few people could actually fit in the stands (although allegedly it could originally house up to 40,000 guests and was expanded to fit more). Stop for a bite here before starting your hike. 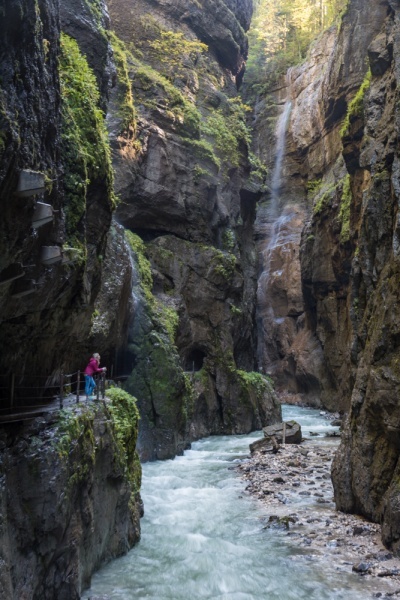 You’ll need to continue walking about a half of a mile to the start of the Partnachklamm (Partnach Gorge). Once you reach the end of the gorge hike, turn left to head uphill to turn the hike into a loop. 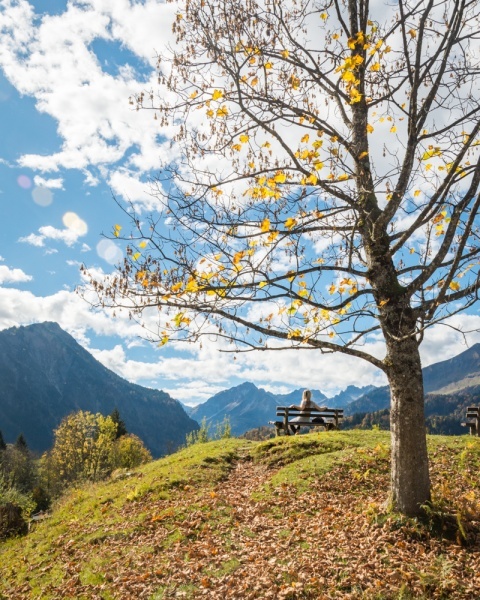 The walk up is steep but once at the top you’ll be rewarded with stunning views of the Alps and even a quaint biergarten where you can rest your weary legs while enjoying a refreshing beer. Be sure to take a ride on the alpine slide before you leave the area! This awe-inspiring castle was constructed by King Ludwig II in 1886 as he was a shy king and wanted to withdraw from the public eye. Little did he know that his private castle would be visited by 1.4 million people annually! As you are driving up Neuschwansteinstraße road, Neuschwanstein Castle will begin to come into view high above you. Stop and take some pictures – the views of the castle from the road are some of the best you’ll see during your visit! Arrive to the village of Hohenschwangau early to purchase your tour tickets as they sell out quickly (for most visitors this is one of those must-see places in Germany). You will be given a specific tour time and you’ll need to make your way up the hill to the castle. It’s about a 30 minute uphill walk or you can opt for a shuttle bus ride or a horse drawn carriage ride (but keep in mind that these fill up fast!). Make sure you arrive to the castle about an hour before your tour time so you can continue your walk up to the bridge that overlooks the backside of the castle! 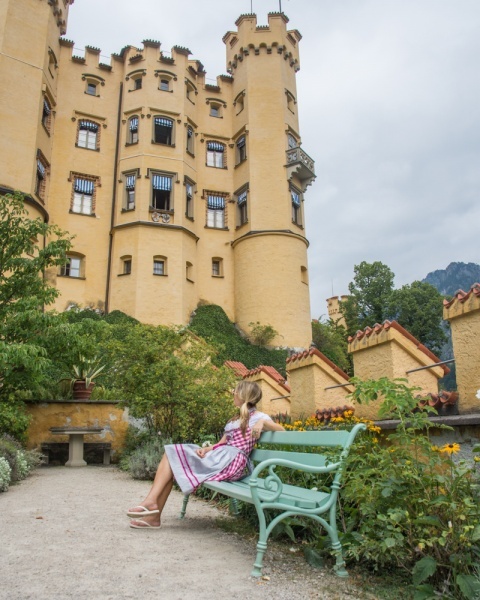 Be sure to have a walk around Hohenschwangau Castle as well, built by King Ludwig II’s father. They also offer a guided tour through this amazing gothic wonder and the grounds are lovely and serene. 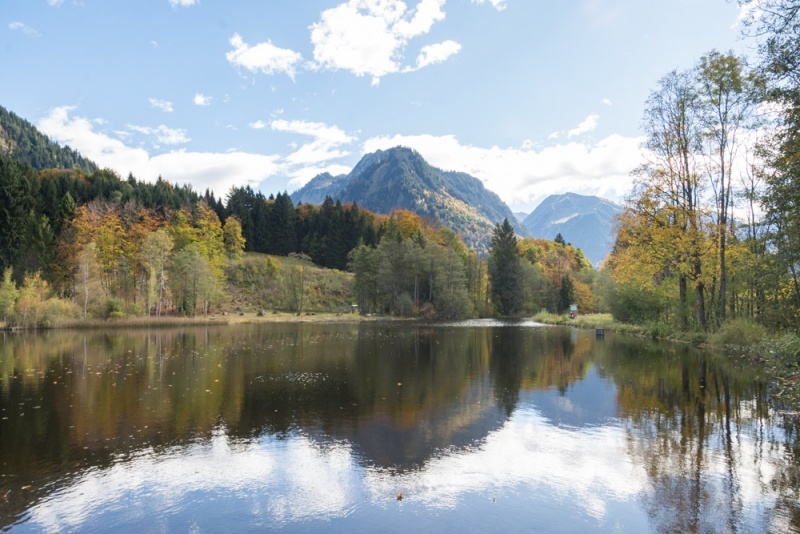 The Allgau Region is a gorgeous mountain region that makes for a lovely drive and also offers several hiking options for the outdoor enthusiast! 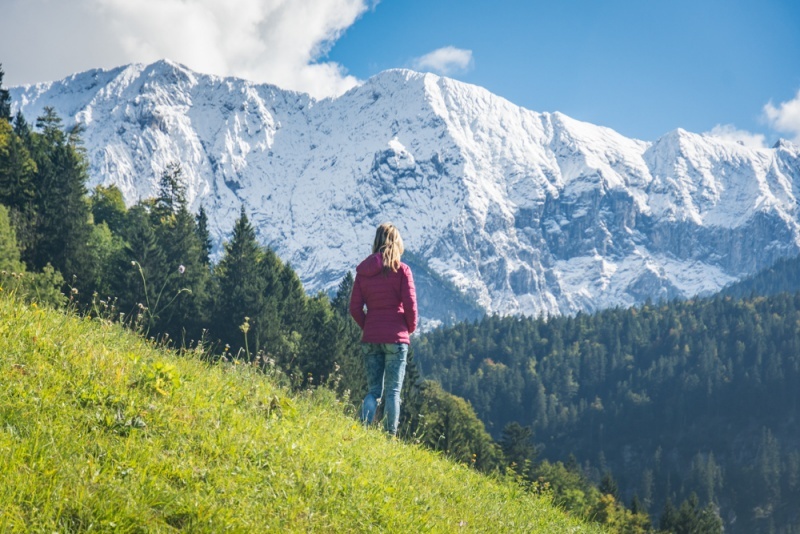 Oberstdorf is a small town in the region that is popular with tourists due to it’s giant chairlift offering sweeping views of the area in the summertime and challenging ski runs in the winter. You can opt for the ride up for panoramic views and then a fairly easy walk back down, or head to the nearby Moorweiher Lake for a short and easy afternoon stroll. 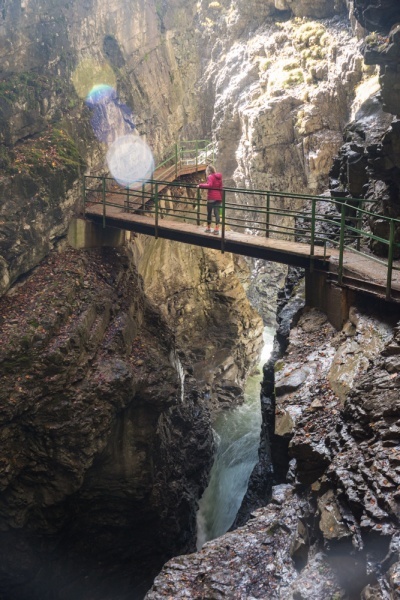 While in the area, don’t miss Breitachklamm (Breitach Gorge)! This easy out-and-back hike through the deepest gorge in middle Europe follows a path that takes you high above the treacherous and powerful river rushing below you. Lake Constance/Konstanz/Bodensee is a top tourist destination in Southern Germany, and for good reason… it is a large, picturesque lake straddling the borders of Germany, Switzerland, and Austria with stunning views of the alps which makes it the perfect destination for your motorhome adventure! 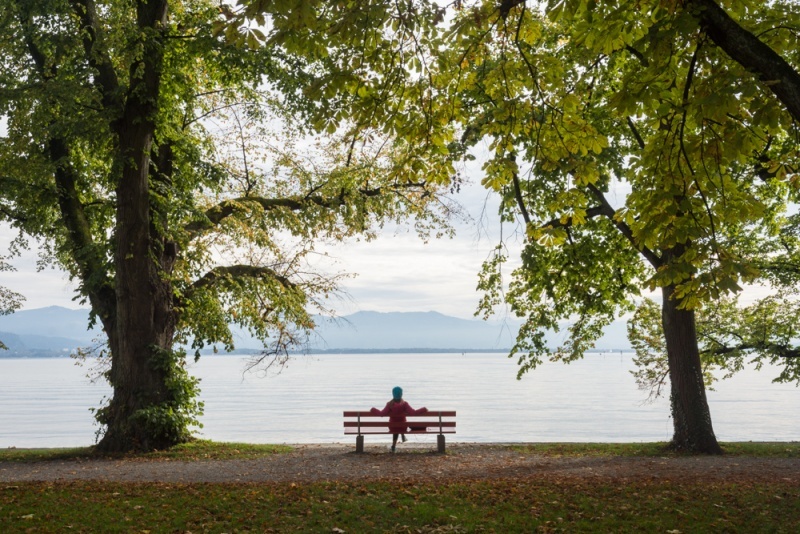 There are two popular destinations around the lake – the towns of Lindau and Konstanz. 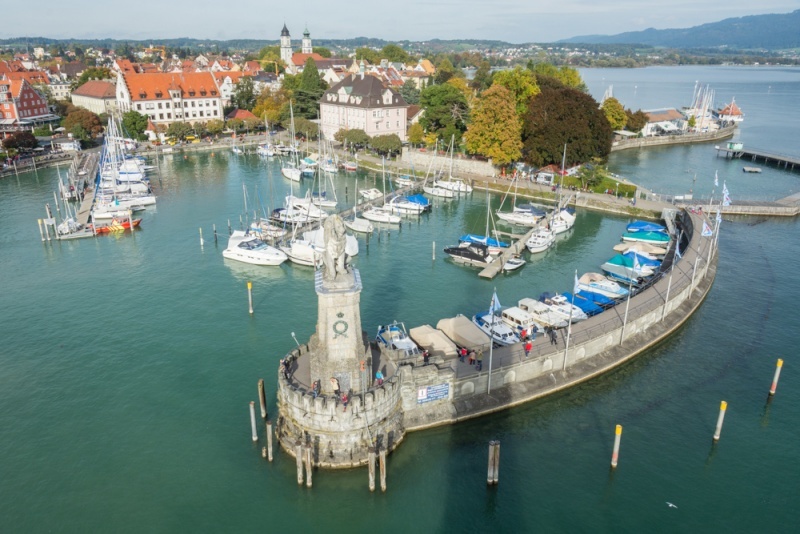 Start your lake itinerary in Lindau which is the largest town on Lake Constance and is split between the mainland and an island via a bridge. The island has a harbor offering views of the lake and of Austria from the top of the old lighthouse. It is apparent that the island was an influential and wealthy port town in its heyday and to this day you’ll find it to be incredibly clean and quaint, with delectable eating and drinking options scattering along the waterfront. 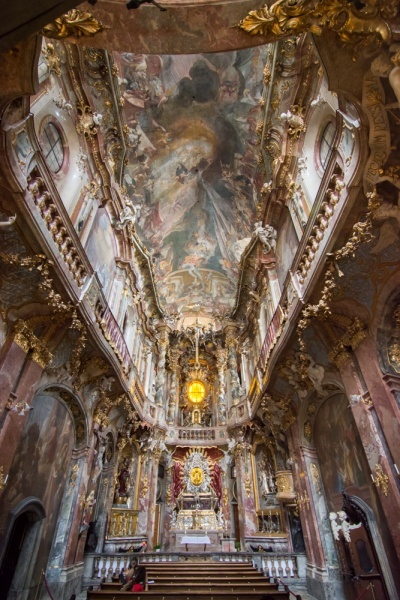 Be sure to stop at Basilika Birnau en route to Konstanz for a tour of the lavish church right on the lake! Stop in Konstanz where you should be sure to check out the spectacular 110-acre “flower island” of Mainau. It’s pricey to visit but worth it to stroll through the beautiful parks and gardens. Konstanz sits right on the border so if you haven’t been to Switzerland yet, cross over and put a foot in each country! 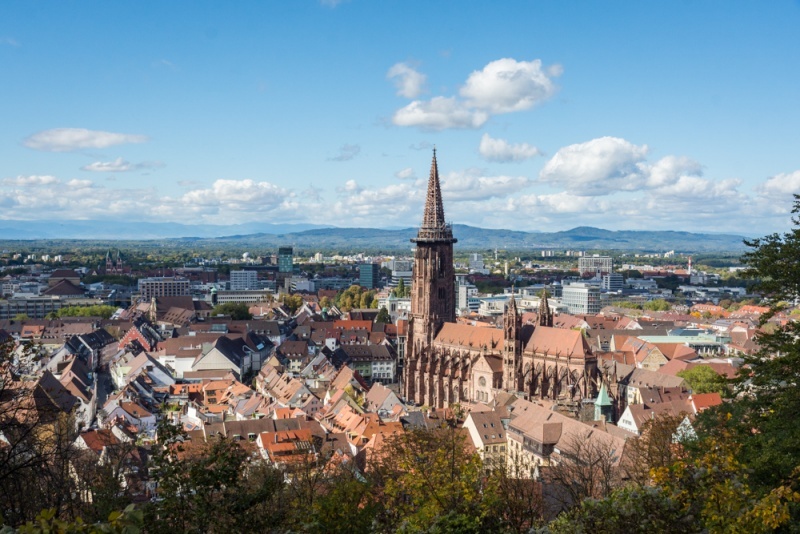 Sitting on the western edge of the Black Forest, Freiburg is the perfect hub to explore the southern side of the Black Forest. In classic German old town style, you’ll find cobblestone streets, beautiful architecture, and, of course, plenty of beer gardens. It is also known as Germany’s warmest city due to the year-round sunshine that it experiences. And it is right in the heart of the Baden wine-growing region so you’ll have no shortage of imbibing options here! Be sure to check out the English Swabian Gate (Schwabentor) on your way up the hill to the Kanonenplatz panorama lookout point. You’ll find 360 views from the top as well as dozens of shady hiking trails. 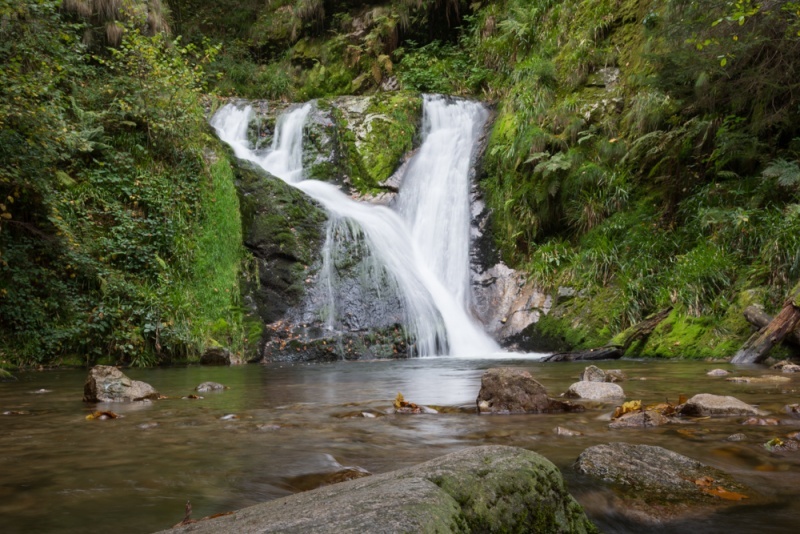 Plunging 535 feet into the river below, Triberg Waterfall is highest waterfall in all of Germany! There is a small fee to enter the hiking area but once inside you can choose a variety of hiking options of varying difficulty. 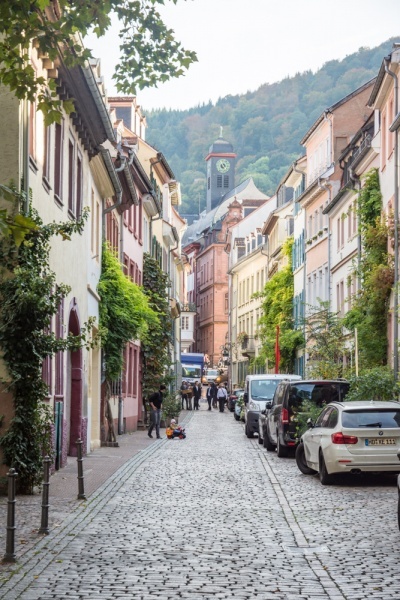 After you’ve had your fill of the waterfall, be sure to have a stroll through this adorable little town and stop for some famous Black Forest cake! The Black Forest is not only the birthplace of it’s namesake cake, but also of the cuckoo clock. If you are looking to pick one up during your trip, Triberg is the place to do it! Next stop on your itinerary is Allerheiligen Valley to see the Kloster Allerheiligen (All Saints’ Abbey) and the nearby waterfall, Wasserfälle Allerheiligen. The All Saints’ Abbey was a Premonstratensian monastery that dates back to 1192. At it’s height it was was considered one of the major religious and political centers of the region but sadly, multiple fires over several centuries took their toll. 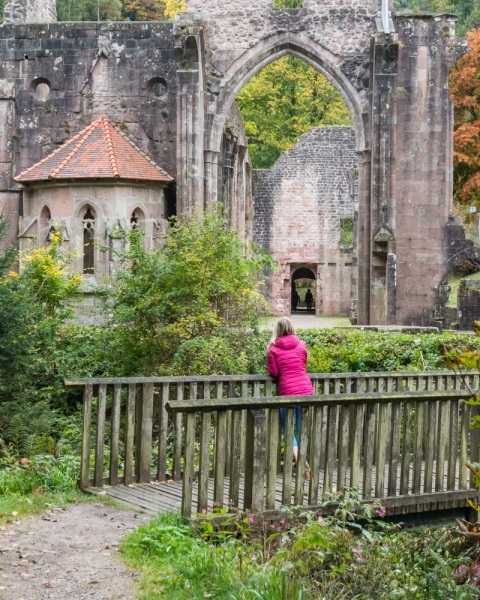 The ruins are still a sight to behold and sit at the start (or the end – depending on where you park) of a lovely hike along several waterfalls on the Lierbach River. The entire hike is only about a mile from the monastery to the parking lot on the other end and it’s well worth doing the hike in it’s entirety. No German road trip is complete without a trip to a traditional German bathhouse! 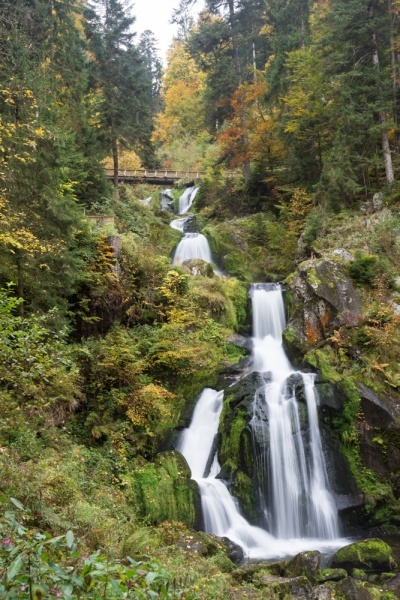 You’ve been doing a lot of hiking through the Black Forest so why not end your trip with a relaxing soak in the thermal baths of Baden-Baden, the city of beauty and wellness? Opt for the 3-hour soak so you have plenty of time to enjoy the indoor/outdoor public baths before heading upstairs for a more traditional (and no clothes allowed) experience. You’ll find a variety of relaxing thermal pools, saunas of varying ambiances, and other spa experiences to suit your fancy. Be sure to check the rules before settling in (for instance, you’ll need a towel in the sauna and you’ll want to situate it so that neither your feet or your bum touch the wood benches) and don’t be alarmed – most bathhouses in Germany are co-ed. Heidelberg is a lovely, quaint town on the River Neckar where you’ll find pedestrian cobblestone streets through their Baroque-style old town. 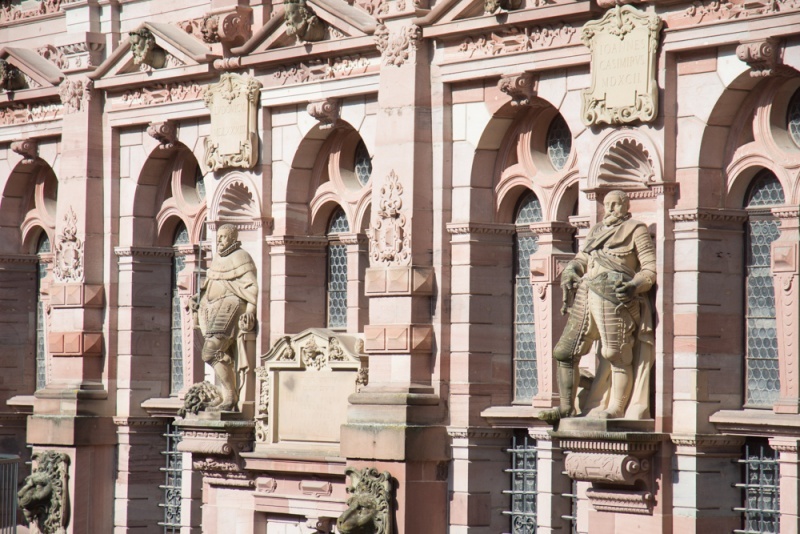 The impressive Heidelberg Palace sits high above the city and is an easy walk to the top from the center of town. Marvel at the views from the top and check out the free apothecary museum for an entertaining history lesson. When you head back to the center of town you’ll have a variety of outdoor restaurants and cafes to choose from as well as boutiques filled with local handmade goods, so give yourself ample time to explore. Today although the castle is still privately owned, it is open to the public from April through the end of October. Visitors can opt for a guided tour of the interior or simply stroll through the grounds and enjoy a cup of coffee at one of the restaurants inside the castle walls. Park in the large lot and take the ~30 minute footpath to the castle. Stop when you get close as the views from afar are spectacular. Across the river you’ll find the spectacular Burg Thurant (Thurant Castle) surrounded by vineyards and offering beautiful views of the river below. There’s a small fee to enter but it’s worth it to see the bizarre torture contraptions and the dungeon complete with what appear to be actual human bones! 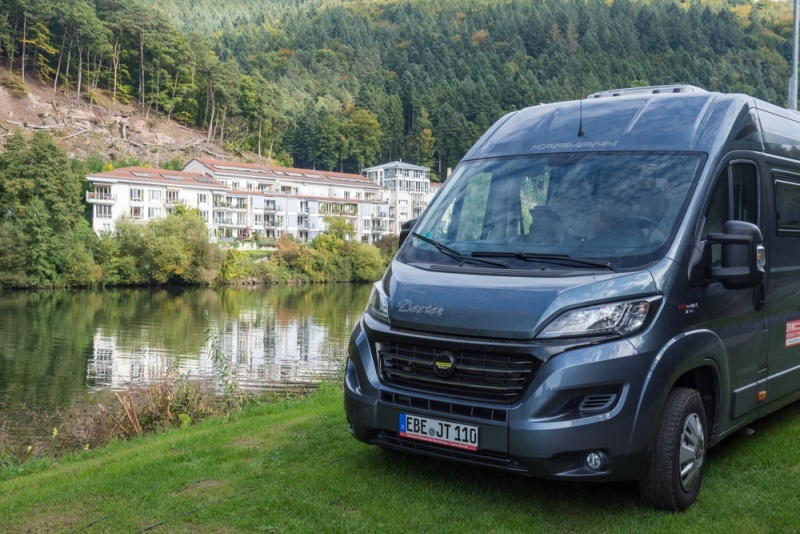 Once you’ve explored the castle, head down to the small town of Hatzenport where there is a stunning campground – Campinginsel Sonnenwerth – that sits right on the river. If you arrive before sunset you’ll be rewarded by beautiful views of the surrounding greenery while you sip your German wine and cook yourself a delicious traditional meal! Cologne is the 4th largest city in Germany and after spending so much time in Bavaria, it may be a bit of a culture shock to see just how diverse Germany really is! 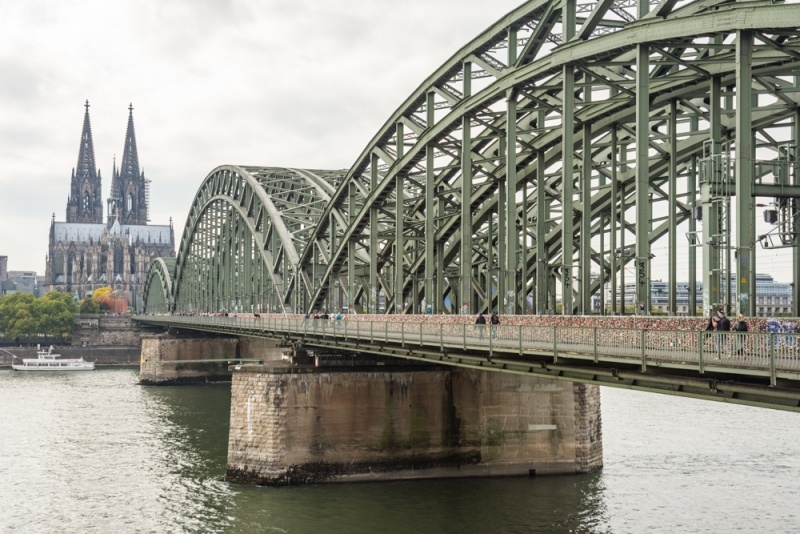 While most of the other cities along your road trip have been cute and quaint with cobblestone streets, Cologne feels much more like a thriving metropolis. Park your motorhome outside of the city and take their convenient public transportation into the city center and plan on spending a few hours exploring. Be sure to check out the Hohenzollern Bridge (Hohenzollernbrücke) which is decorated with thousands of inscribed lovelocks. And don’t miss the Cologne Cathedral (and especially the street art around the cathedral square). Another top tourist activity in Cologne? Shopping! You’ll find anything and everything your heart desires in the center of this city. Grab some fries (pommes) smothered in curry sauce and wander the Hohe Straße in search of your new German fashion accessories! 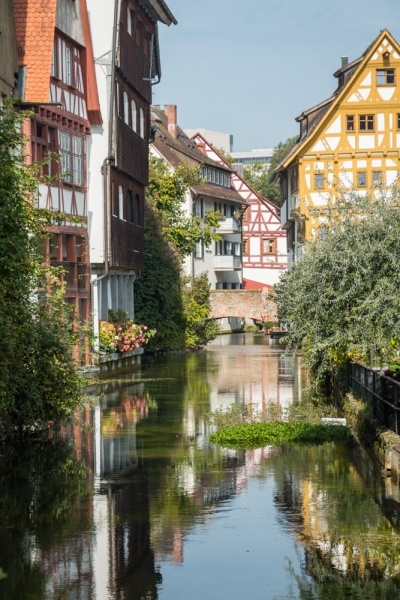 Cologne to Würzburg is a fairly long drive – if you are looking to stretch your legs or grab a bite to eat, Wiesbaden is an excellent stop en route to your next destination! Between 1626 and 1631 there was one of the biggest mass-trials and mass-executions ever seen in Europe during the Thirty Years War – the Würzburg Witch Trials. 157 men, women, and children were burned alive at the stake in Würzburg, Germany. Thankfully the witches have been replaced by gorgeous architecture and lots of wine! Start your day with a counter-clockwise hike up to the Marienberg Fortress – the prominent landmark looming over the bank of the river. Loop around the castle so you pass through the grapevines on your trek back to the city center. Head across the Old Bridge (the Alte Mainbrücke) where you can get a glass of wine to-go (with a small deposit on the glass) to enjoy while you marvel at the statues along the picturesque bridge. 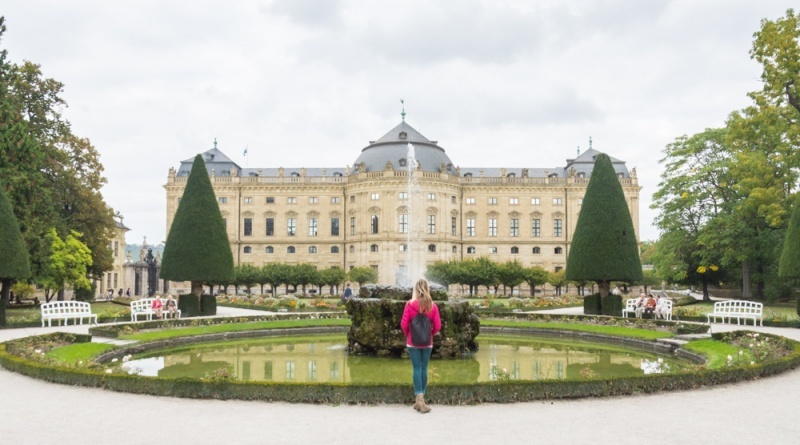 From there head over to the Würzburg Residence for a stroll through the magnificent gardens before taking a tour of one of the wineries in the area. 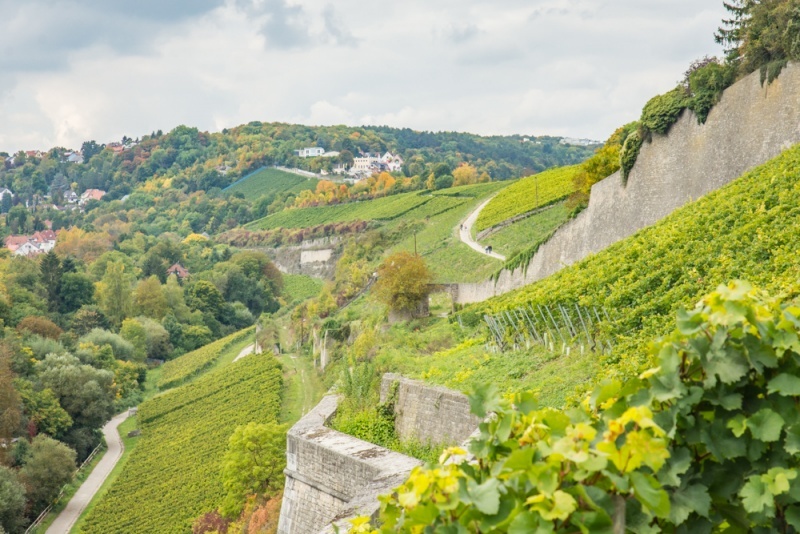 There are several wonderful wineries in the area but our favorite is Weingut Am Stein where you can stroll through the steep grapevines while getting beautiful views of the city. They offer tastings of their delicious wines while providing you with helpful information on their organic wine-growing operation. Pick up a bottle of the Würzburger Silvaner – perfect for a sunny afternoon! 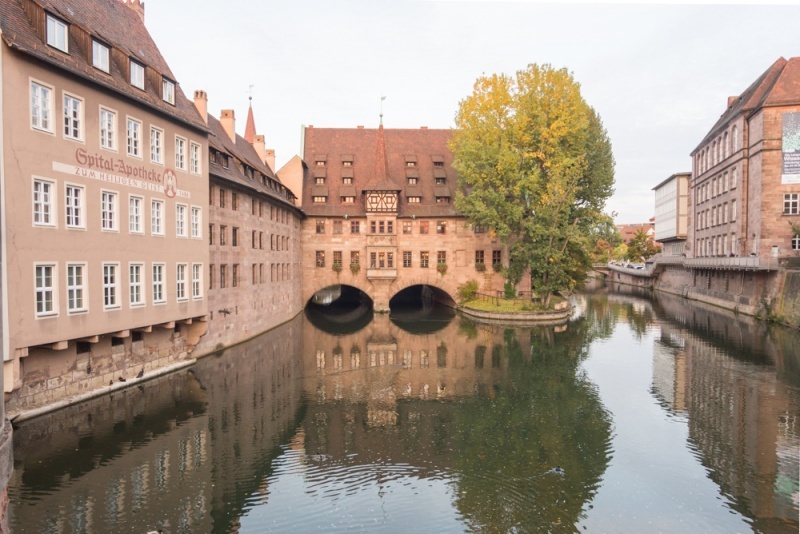 Nuremberg is the quintessential medieval Bavarian town filled with stunning architecture, outdoor markets, museums, and a dark and sordid history. And with over a half million residents, it is the second largest city in Bavaria. It’s history dates way back but it is most often linked to World War II as it was the headquarters for the Nazis and later was nearly destroyed by allied bombing. And finally it was the site of the famous post-war Nuremberg Trials. There was symbolic value in making it the city of the Nazi demise as they held the party’s rallies here and the laws that stripped Jewish people of their citizenship were passed in Nuremberg. 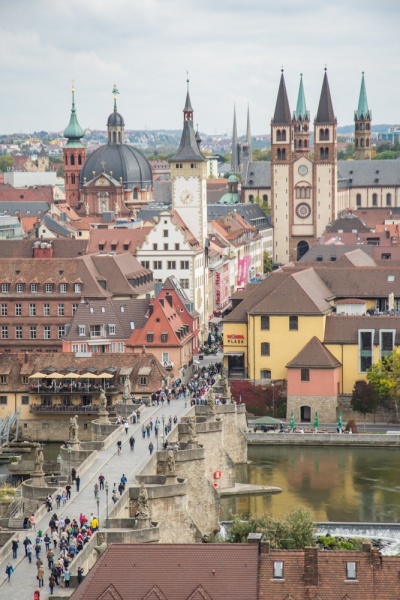 As you stroll through the pedestrian cobblestone streets in the altstadt (old city), you’ll have a plethora of outdoor eating and drinking options among the intricate medieval churches and the high-end shops. Head to the Imperial Castle of Nuremberg for sunset where you’ll watch the sky above wash the city below in hues of pink. The Danube runs through the middle of the quaint town of Ulm and creates a natural barrier between Ulm and Neu-Ulm. Ulm being classified as Germany and Neu-Ulm being Bavaria. And this barrier creates a bit of a friendly rivalry between the two. Sip a cup of coffee while people watching in the main square, Munsterplatz. 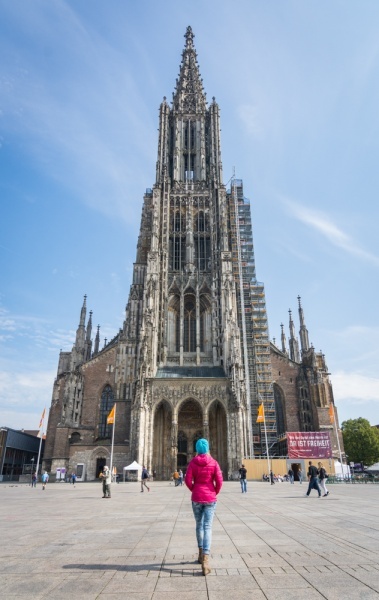 Climb the 768 stairs to the top of the Ulm Minster (Ulmer Münster) church steeple – the tallest steeple in the world – for amazing views of the city (and a serious cardio workout). Then head over to the Fishermen’s Quarter (Fischerviertel) neighborhood where you’ll find darling Bavarian buildings, cobblestone streets, and beautiful river views. From Ulm, you’ll head back to Munich, drop off your campervan, and sadly head back home to reality. Or if you have time you can catch the train north to Berlin! Hopefully, your German road trip has inspired you to explore other countries by car. If you’ve been considering a trip across the US, be sure to check out our favorite photos taken during our 6-month journey from Oregon to Florida and back again! 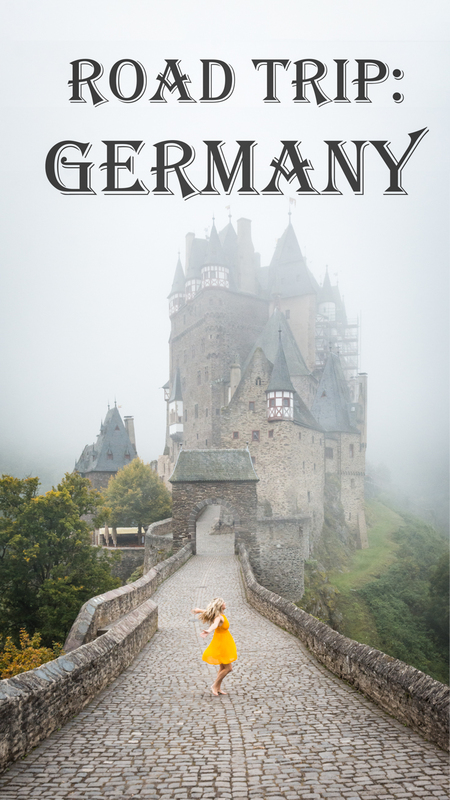 Want more adventures in Germany? Check out our favorite travel guides! We’ve been to Germany a couple of times, and the Christmas markets were our absolute favorites. What a magical time of year. I’d love to do a road trip, though, because as you show here, you get to cover so much ground and see so many different areas of the country. This is a great itinerary. Thank you so much! We hope you get to take a German road trip someday soon! I’ve been to Germany a few times and, to be honest, have never really liked it. But your photos of Bavaria really make me want to give that part of Germany a visit! Especially in a motorhome, which I have always wanted to do in Europe. But… is it horrendously expensive to rent one? I’m assuming gas cost more than the rental itself? Hi Jane – the rental wasn’t expensive at all! I think it would cost about $100 USD per day but considering that it acts as both your room AND your transportation, it’s a great deal! But yes, you are right, gas is definitely expensive in Germany. Luckily we kept our driving distances pretty short. I had a good visit to the cathedral too. Love Germany road trips. I may plan again and o these that I missed. Yes, the castles are stunning in Germany. Thanks for reading! We love road trips, having done 4 cross=continent drives through North America in an RV. And we have not done Germany! So this is the way we will do it! Road trips are the BEST! Thanks for reading Carolina! This road trip seemed to tick off so many boxes foe me. I have heard of the amazing Neuschwanstein Castle and not at all surprised that its visited by 1.4mil per year! About par for this place I guess! It’s truly spectacular – hope you make there for a visit soon! Wow! Such a wonderful tips, each and every points will help travelers like me. Loved the Partnach Gorge hiking seems quite adventorous. Hope to visit there soon. No speed limit – wow!! Southern Germany sounds incredible, I would love to take 2-3 weeks on a roadtrip. Interesting and good to know that you can’t wild camp, but you can park overnight – sounds like a campervan is a great way to go. I’ve visited Munich before, but just did a couple of days in the city. I would love to head back and use this as a starting point for a countryside road trip. So much incredible nature, cool that you briefly jumped into Austria! 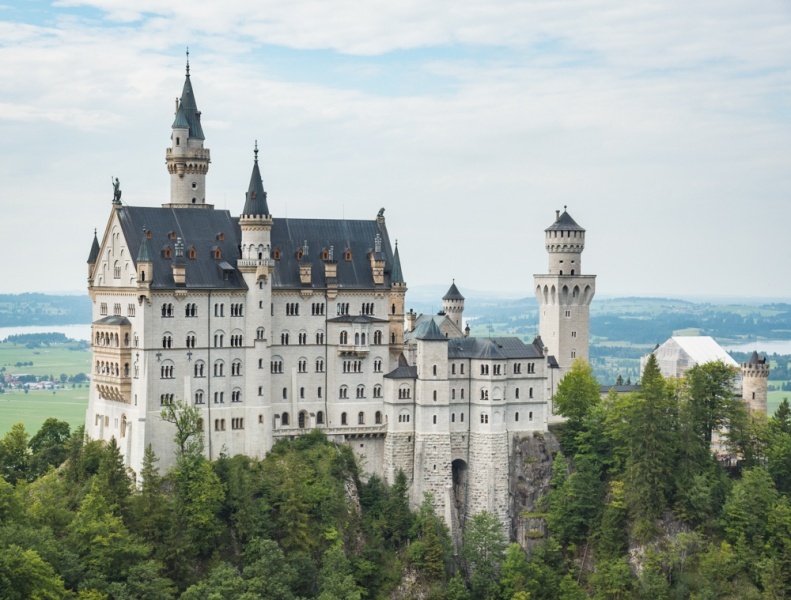 Neuschwanstein Castle is one of the main sights which is on my list – I think it’s easily the most beautiful castle in the world from the photos I’ve seen – Disney in the flesh! Thanks for sharing such an incredible itinerary – really seems like the perfect balance of nature, culture, and adventure too! Thanks so much for reading and taking the time to comment Meg! Neuschwanstein is spectacular – I hope you get to make another trip to Germany soon! I always hear about how road trips are so fun around Europe and of course, Germany! But the no speed limit is one amazing thing one can experience though with the sceneries that you get, I don’t think one will go fast. I’ve got friends from Stuttgart, Heilbronn, Munich, and Cologne, and they always tell me that road trips are really a must-try! And please, I wanna see the Eltz Castle! Nice photos btw! Especially the falls! So surreal! Thanks so much for reading Hazel! No speed limit is awesome and a little horrifying all at once! Quite a route. I’m familiar with Munich, Koln and Ga-Pa, but there’s a lot more in between that I’d like to check out. I travel South from and to Munich a few times a year by train, and really enjoy the journey, especially through parts of Austria, but besides a couple day stop in Ga-Pa, have never stopped along the way. I really should make a point to next time. ? Yes you definitely should! Bavaria is so beautiful – especially in the fall. Thank you so much for reading! I’ve always thought a road trip through Germany would be so much fun! I never thought about doing it in a campervan, but I love that idea! The views would be absolutely amazing! And it’s good to know that overnight parking is ok in most spots. Love all of the fun facts, too—that longest word is nuts, lol! 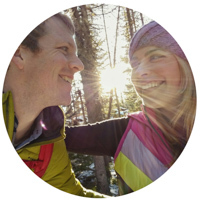 Love the itinerary that you followed—it’s packed with so many great spots. The Partnach Gorge, Triberg Waterfalls, and the mountain views from Ehrwald, Austria, look like they would be right up our alley! Thank you so much for taking the time to read and comment Jenna! A campervan definitely made the roadtrip exciting! I hated the Neuschwanstein Castle tour. It was so rushed and didn’t give you time to appreciate the craftsmanship of the rooms. King Ludwig is such an interesting fellow. I feel like he is one whose life should be turned into a movie. I totally agree that the tour of the interior was WAY too rushed and they fit too many people in at a time. We didn’t even really get to enjoy the space – such a bummer! But exterior castle views are definitely worth the trip! How long was this road trip? I love this post. So much great information. My family and I were hoping to plan a road trip in Germany next summer. We have about 10 days. If we had to cute one part of this trip what would you suggest . Hi Nicole! Thanks for reading our post – so glad you found it helpful! We loved Bavaria and Heidelberg the most so if you’re short on time I would probably recommend skipping Cologne and/or Lake Constance as they are both a bit out of the way. We spent about 21 days on this trip so it will definitely be rushed if you try to accomplish it in 10.